Residential mailrooms at the University of Connecticut are backed up with a high volume of unsorted packages. Freshman Evenson Andre said Monday that he had been waiting four days for a package that had already been delivered. Students across campus share his sentiment. Some students await packages containing textbooks and other course materials, but are unable to access them. According to UConn Assistant Director of Building Services Tracy Cree, hundreds of packages remain unsorted. But what could be causing this backup? Cree, who manages Student Mail Services, said part of the problem is understaffing. “As many offices struggle with at the beginning of the year, we have trouble hiring students to cover fully when we would like to be open,” she said. She said there aren’t enough staff members to cover the evening shifts when they would normally sort the day’s deliveries. However, Cree said that on this front, progress is being made. “I hired about 30 students last night and so we’re training this week at night,” she said. An email sent out by Residential Life Executive Assistant Elsie Gonzalez asked RAs to assist in the mailrooms to help make up for the lack of workers. But Cree said there’s more to the situation than just a lack of staff. “I think the push from Amazon and some other companies for college students to join and the incentives they’ve offered have clearly done well and have worked in their favor,” she said. Cree estimates mailrooms received between two and three times as many packages this year as they did in the same time last year. University Spokeswoman Stephanie Reitz said in an email that the figure might be closer to a four-fold increase, though she was unable to give specific numbers. Such a jump in online ordering is not out of the question. 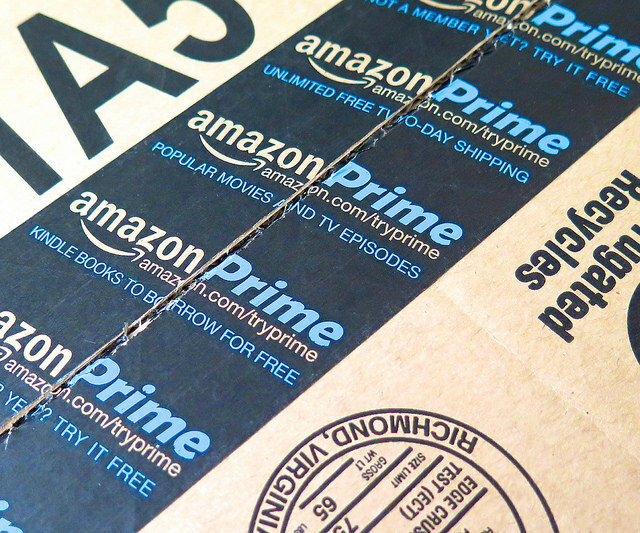 According to a fourth-quarter earnings report, membership for online retailer Amazon’s Prime program – which promises free 2-day shipping – grew 53% in 2014. Though Amazon does not disclose specific numbers, various firms estimate that Prime has between 40 and 50 million subscribers in the U.S. alone. Cree said the mailroom staff is doing their best to sort time-sensitive packages like textbooks as quickly as possible. Still, the question on the mind of many students is how long will mailrooms delays continue. “If students keep ordering as much as they are right now and mailing stuff to them, it’ll probably be weeks,” said Cree.